Are you looking for a flexible way to earn money at home? Using you computer and your homes internet is a great place to start. These 17 sites listed below pay in either check , Paypal or gift cards for Paypal. 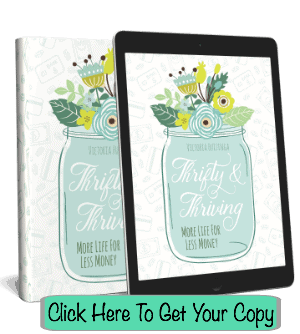 This list contains ways to earn anything from just enough for date night each month to a full time income. Some of these sites you can use week after week to earn consistent income and others you can just use sporadically for those times you just want to earn enough for a family weekend at the water park or enough to finally kick that last credit card bill to the curb. What you earn and how often you earn it is up to you. What I like to call point reward programs are great places to start earning a bit of side income from home. 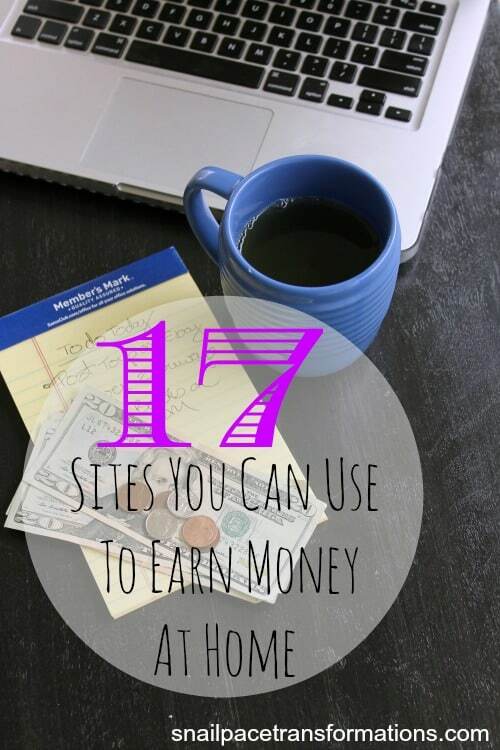 No you won’t get rich with these sites but you can make enough each and every month to pay a bill or two. What I really like about these programs is often you earn a few points just from doing things you already do online and you can work other point earning actions into your day at the time that works best for your. Swagbucks is online rewards program that makes it easy for everyone to earn a few gift cards. By preforming a few simple tasks each day it is possible to earn $30 a month with Swagbucks but I have read of people who earn more than that and my own figures show that yes indeed you can earn more. MintVine offers several other ways to earn points besides surveys, but surveys are where the biggest point payoffs are. Each day you can earn 5 points simply by taking a few seconds to participate in MintVine’s daily poll. Cash outs begin at $10 and there are a variety of different gift card options. You can also request a deposit into your Paypal account. My Points is the point earning program I have been a member of the longest. I don’t do a lot through their program. I simply click through their emails that offer points for clicking through and I often buy my online purchases through their site as they often offer higher cashback values than most similar companies . Still just doing these 2 actions earns me on average 2 $10 gift certificates a year and one could earn a lot more if they were to spend time answering surveys, enter searches through their search bar, and doing a few more point actions that My Points offers. Inbox dollars offers a lot of the same point earning options that My Points and Swagbucks offers. 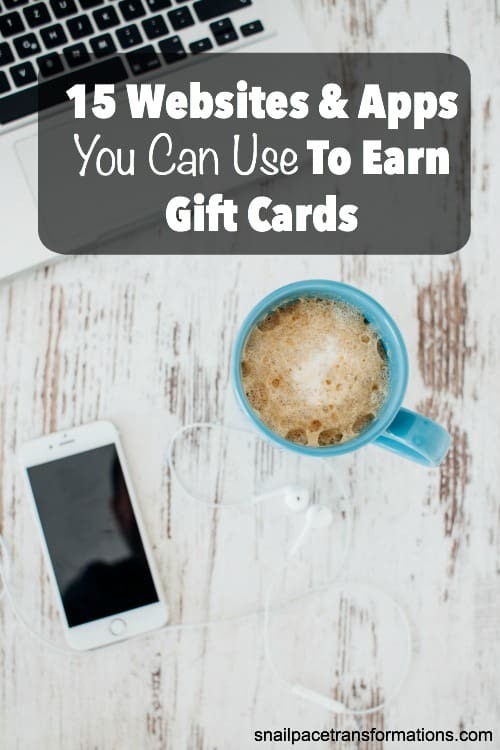 It pays by check though instead of gift cards. Inbox dollars for me is a slow earning program but I mention it because pennies here and there from various programs can add up when collected together. MySurvey was the very first survey company I ever joined. I use to earn $10 a month at it just by filling out surveys two or three times a week while I was watching TV or enjoying a hot cup of tea. MySurvey has a good selection of cash out options. PrizeRebel currently has 9 different ways to earn points that you can cash out for various gift cards and PayPal deposits. Cash outs at PrizeRebel start at 200 points for a $2 e-gift card and your e-gift card is delivered to your account in right around 24 hours. Reselling items from your home through your computer is another great flexible way to make money from home. I have done this over the years to earn enough money for extras that don’t fit in our budget such as summer camps for kids and weekend getaways for just me and my husband. What I like about it is I can have a sale blitz from my own home during a week when we are low on outside home activities and then not sell at all during busy weeks when we are not going to be home much. I also like that you can simply sell what your family already has and no longer needs or invest some money into it and find items priced low enough to resell for profit. I have personally only done reselling on a here and there type basis but I have met women who make regular part time and full time income from reselling. The trick with eBay is to know what your are selling. Know your items, features, condition and age. It also helps to really like what you sell, it does make a difference in sales. I suggest however starting with what you already own and working into buying and reselling products from there. I haven’t met anyone making a living off Craigslist but I do know that it is a great way to get rid of large items that have become clutter in your house and earn cash in return. Here is my article about selling successfully and safely on Craigslist. Facebook Buy & Sell Groups are great for selling odds and ends and large items. Like Craigslist I haven’t meet anyone making a regular income off selling in these groups but they are a great way to make temporary income from what you already own and no longer use.Here is my article about what I learned from my first experiences with Facebook Buy & Sell Groups . You might not think of using an online consignment store as a source of making income but if you have good quality clothing in your closet or in your children’s closets that you our they are not wearing you can send them in to ThredUp and receive payment to your paypal account. (go to site research further). ThredUp also takes shoes, handbags, accessories and maternity clothes. It is free to send in your clothes, simply order a clear out bag that comes with a free shipping label. You can check what people get on average for similar clothing like yours with their clothing calculator. For lower priced items you earn the money before they sell the item, but for high priced items you can earn more by choosing consignment and waiting for them to sell. Swap.com is an online consignment market place where you can send in your no longer needed children’s or women’s clothing and accessories as well as family friendly books and games. You can swap your items for other items you want or you can pay a $1.50 per item fee plus a 25% consignment fee. I have not personally tried out Swap yet but I did find that by cruising around their site you can find answers to pretty much any question you might have. ( I would suggest selling your own items first to see what they are worth with either program but if come across great clothes amazing prices at yard sales, you could try reselling them through these 2 companies. I did this with a brick and mortar consignment shop once and did fairly well. Once again though you need to know what the item will bring you in from consignment before you buy). You can also sell books at Amazon or you can get into reselling in a big way and sell clearance items in bulk. This podcast by Pat Flyn and Smart Passive Income goes into great detail about how one couple is making full time income reselling rock bottom clearance finds on Amazon. Etsy is a competitive site to be a part of but I do think you can make money there if you put in the time and effort. If you want to take the Etsy plunge I suggest first reading the ebook Selling On Etsy: Turning Your Hobby Into A Profitable Business, which goes step by step through what it takes to set up a successful Etsy shop, and then give yourself a year or so to really get it going. I keep a photo album on my personal Facebook page with pictures of my hand knitted dishcloths I sell. I update it every Thanksgiving for the Christmas season when friends buy them for gifts. I have seen others have a Facebook page that is exclusively for selling their handmade items. Recently I have been noticing people doing something similar with Instagram. They open an account just for pictures of their items for sale and share the link on Facebook and on their personal Instagram feed. I suggest doing a Google search to gather more information about selling this way. If you love to write and are passionate about a certain topic blogging can become a good source of income over time. Making money off a blog will probably take longer than making money at pretty much any of the above mentioned sites, however if you have the time and are not money crunched you can build your blog so that it creates income over time (I started making a part time income at the end of year 2). Just as with many of the other sites mentioned above it really does help to have a student attitude when approaching blogging, in other words you don’t earn money in your area of study until you have put the time in to get your degree in it. 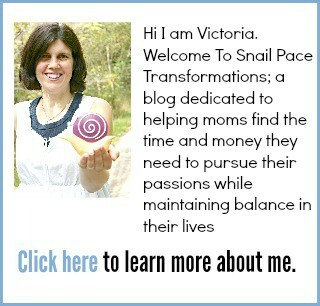 For more work at home ideas check out my Work at Home resource page for all I have written on the subject. I’m seriously surprised at how much money I’ve made doing direct sales. Which is something I never imagined myself doing. But I do mine as just online retail not in home parties so that works for me. That is another great way to earn money from home online.